Take Espresso di Manfredi home with you! 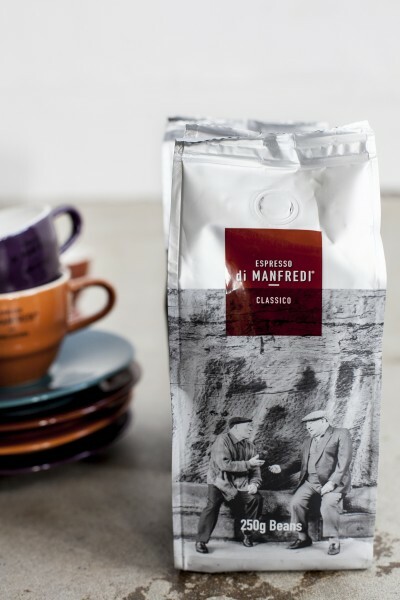 Leading Italianate boutique espresso brand Espresso di Manfredi has launched a take-home pack of coffee beans allowing customers to experience their Espresso di Manfredi moment at home. The 250g Classico blend will be available at Espresso di Manfredi cafés Australia wide which can be found using the café locator via www.espressodimanfredi.com/find-us/. The new coffee packs are also available at Balla’s negozio and the Bells at Killcare food store. 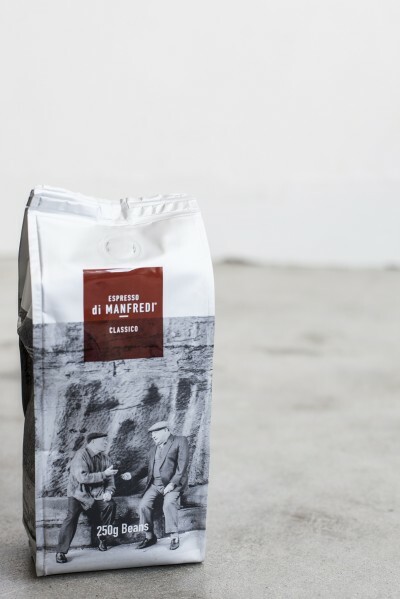 The Espresso di Manfredi family of coffee blends is the creation of two taste masters, celebrated chef Stefano Manfredi and leading coffee roaster Wayne Archer from D.E. Coffee & Tea. At the heart of the brand is ‘Sprezzatura’ or ‘effortless mastery’. With decades of experience between them, both masters have drawn on their unique language of flavour and knowledge of food, to craft the family of blends, Classico, Audacia and Chiaro, sealing the essence of sprezzatura. The original Classico blend offered in the 250g pack is a fine, complex coffee with a full and textured body. Blending high-quality arabicas from South America and a touch of fine robustas from Asia, the blend offers well-balanced fruit and elegant acidity with a long lingering chocolate finish.